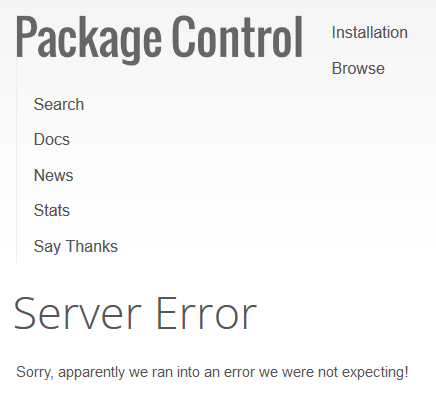 This is supremely annoying, is there a way to get in touch with packagecontrol.io to request assistance? I looked them up on whois but not sure the registered email addresses there are the correct communication avenue. I need this software to be working so I can make some critical updates! to Preferences > Package Settings > Package Control > Settings - User file. This is the latest snapshot of the original JSON file from web.archive.org. Issue should be resolved now (https://github.com/wbond/package_control/issues/1397), notably, do remove the channels additions if you made them, so you’re working with the latest JSON file!